The bonds among the core nations that signed the original treaty, which was displayed next to Pompeo, are fracturing. New members that were once Soviet states are turning authoritarian. To celebrate the 70th anniversary of NATO, Secretary of State Mike Pompeo gathered ministers from all the nations in the military alliance Wednesday night in the same hall where Harry Truman signed the North Atlantic Treaty Organization pact in 1949. “No military alliance in the world can remotely do what we do,” Pompeo said, hailing NATO’s success. But the forces pulling that alliance apart were evident everywhere. The bonds among the core nations that signed the original treaty, which was displayed next to Pompeo, are fracturing. New members that were once Soviet states are turning authoritarian. This week, the Pentagon blocked delivery of equipment for the alliance’s most modern weapon, the F-35 fighter jet, to Turkey because the NATO nation would not back down on buying Russia’s most sophisticated anti-aircraft system. Vice President Mike Pence declared at the celebration that Germany risked becoming a “captive of Russia” because of its embrace of a direct energy pipeline to Russia. And missing altogether was President Donald Trump, whom European and U.S. officials alike wanted to keep away from the anniversary for fear he would again raise the idea of pulling out of NATO if other member states did not pay a greater share of the defense burden. It was, one European diplomat said with mild overstatement at one of the many receptions Wednesday, a little like showing up at a birthday party and discovering you were attending a wake. No one had to pick through this minefield more carefully than Jens Stoltenberg, the Norwegian diplomat currently leading the alliance. Stoltenberg deftly dealt with Trump on Tuesday by thanking him at the White House for urging NATO countries to spend more on their own defense, which is estimated to result in $100 billion in new spending by the end of 2020. Stoltenberg clearly knew his audience. Increasing allied contributions is pretty much the only thing Trump discusses about NATO. In the president’s public comments, he has seemed uninterested in what the alliance is doing to push back against Russia or to take on new threats — like the daily onslaught of cyberattacks, from the annoying to the crippling, aimed at NATO members each day. It was only when Stoltenberg got to Capitol Hill, to address a joint session of Congress, that he publicly delineated what he saw as Russia’s many offenses — including the annexation of Crimea, the nerve-gas attack in Britain and Moscow’s violations of the Intermediate-Range Nuclear Forces Treaty, the agreement from which the United States is now withdrawing. “NATO will always take the necessary steps to provide credible and effective deterrence,” Stoltenberg said. But Thursday, he left it unclear what form that deterrence would take. In comments to the foreign ministers from the alliance’s 29 nations — up from the dozen who signed the original treaty — Stoltenberg said that even if the standoff with Russia resembled a renewed Cold War, no intermediate-range nuclear weapons would be deployed on European soil to counter Moscow’s weapons. But no amount of celebration or warning could paper over bitter divisions that have erupted within NATO over the past few years, only some of which have to do with Trump. Pompeo expressed exasperation at the argument he hears so often in Europe, which is that its leaders simply will not spend money on defense at anything close to the levels Trump — and before him President Barack Obama — had in mind. “Now is not the time to repeat tired excuses that our citizens don’t support increased defense spending or security spending,” Pompeo said, carefully avoiding repeating Trump’s threats to leave the organization unless other member states step up. He did not need to. Last year, Trump periodically told his aides that he no longer saw value in staying in the alliance. And there was a sense at the 70th anniversary this week that the damage was done — even if he did not make good on the threat. In a coming report from the Council on Foreign Relations — titled “Trump’s Foreign Policies Are Better Than They Seem” — Robert Blackwill, a former national security aide and ambassador to India in the George W. Bush administration, argued that the president’s record with the alliance was mixed at best but that he had probably done more harm than good. In an interview, Blackwill praised Trump for pressuring the allies to spend more and for backing up expanded NATO defenses along Russia’s border with U.S. troops and surveillance technology. 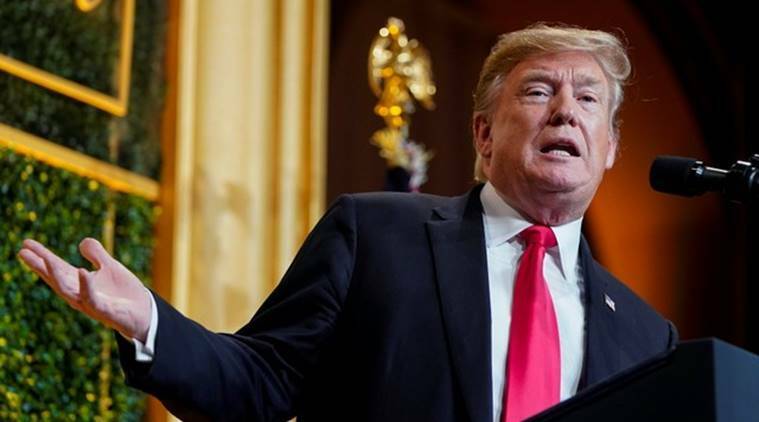 But he said none of that would mean much “if the allies lose confidence that the U.S. will come to their defense under Article 5,” the provision of the treaty that deems an attack on one to be an attack on all. Trump’s biggest misstep, Blackwill said, was “undermining deterrence” — which he said was often as much a function of psychology as military might. Aware of the damage already done, Pompeo repeated the U.S. commitment to Article 5 in a brief speech to the NATO ministers Thursday. Yet few in the hall seemed to believe him, recalling that Trump refused to mention the treaty commitment during a visit to the alliance’s new headquarters in Brussels last summer, and only grudgingly did so later. “Never before has NATO had a U.S. leader who didn’t appear to believe deeply in NATO itself,” R. Nicholas Burns and Douglas Lute, two former U.S. ambassadors to the alliance, argued in an op-ed in The Washington Post. In a detailed report about the multiple crises engulfing NATO, the two former envoys pointed to a greater vulnerability that has more to do with how the alliance is focusing its resources rather than how it is raising them. For years, NATO’s planning and doctrine have seemed hopelessly rooted in old images of Russian military invasions into the Fulda Gap, the German lowlands where tanks could pour in. The alliance’s cybercenter, north of Brussels, was focused entirely on defending its own networks that have been under constant assault for years. Until a few years ago, NATO’s cyberdefenses ran from 9 a.m. to 5 p.m. on weekdays; the idea that state-sponsored hackers might wait to attack on weekends to cripple the alliance’s communications or defenses ran afoul of budgets and work schedules. Until recently, there was little discussion of offensive cybercapabilities, nor doctrines of deterrence. Only now is NATO beginning to think about the vulnerabilities of civilian and military communications that rely on 5G mobile phone networks. The alliance has been slow to think about how artificial intelligence and the potential of quantum computing could change the challenge of defending member states. This week’s meetings in Washington were the first in which threats from China were considered at any length. Next week, the NATO center of cyberexcellence in Tallinn, Estonia, will run an exercise envisioning a fictional nation — Berylia — under a combination of attacks on its power grid, its communications networks and its election systems. In the real world, that is what has happened in Ukraine, which is aspiring to join NATO. But Ukraine was not central to the discussions at the 70th anniversary. “We’ve become blinded by the constant focus on the 2 percent standard,” Sen. Christopher S. Murphy, D-Conn., said during the NATO meetings. He was referring to the current goal of member states of spending 2 percent of their economic output on the military by the end of 2024.